One of my earliest memories of being bullied happened at a sleepover with my friend, Dan. We were outside playing in a sandbox when two neighbor kids joined us. But they didn’t want to play in the sand. Instead, our new “friends” decided to play a game where we threw stones at one another—except they didn’t allow me to throw. I was pelted in the head, legs, stomach, face, and arms. The more I pleaded for mercy, the harder the stones came. I cried. They called me a sissy. No one else knew about that stoning. There was no YouTube video. No pictures on Instagram. Smartphones and Snapchat didn’t exist yet. That shameful day wasn’t recorded and posted for our entire school to see. The stones hurt. I felt shame that day. But I’m grateful it wasn’t multiplied to hundreds of peers and prolonged for weeks or even longer. The problem with bullying today is heightened by the fact that victims of cyberbullying are more likely to have suicidal thoughts and more suicidal attempts than kids not bullied online. Even online bullies themselves are found to be more likely to have suicidal thoughts than other kids. With the sophistication of social networks, shame tends to be felt more deeply. Once nasty messages and unattractive photos are sent through cellphones, they may re-emerge later, causing anxiety and depression. According to LifeWay Research, feeling shame is the biggest culture fear among Americans. Cyberbullying exacerbates feelings of inadequacy, leaving kids feeling anxious, afraid, and depressed. Signs include withdrawing from parents, friends, and activities. Schoolwork, grades, and behavior also tend to regress. 1. Become a student of the latest trends. As leaders guiding today’s families, we need to educate ourselves on the newest trends hitting our kids. Most recently, Netflix’s 13 Reasons Why chronicled 13 reasons a 17-year-old female student committed suicide. Many teenagers either watched or were keenly aware of this hugely popular series. The show paints mental health professionals and adults in general—those willing to help—in a grim light and has led some suicide prevention specialists to fear it could prompt copycat suicides. The games, challenges, and apps used as cyberbullying tools change so rapidly that keeping up is nearly impossible unless you’re immersed in the culture. Don’t be afraid to admit you can’t keep up. One of the best ways to empower students is to get them to teach you. It will instill in them a sense of belonging, like they’re a part of helping you lead others in ministry. 3. Educate and support parents. This may be the single most important thing you can do. The biggest request of many of the bullied teens brave enough to come to me for help is, “Please don’t tell my parents.” In fact, only 10 percent of teens tell their parents if they become a victim of cyberbullying. Of the parents who do find out, many either deny the seriousness of the situation as only a “phase” or “kids just being kids,” or they blame their own kids for getting bullied and not fighting back. Both situations add insult to injury. Ignoring the teen’s shame only increases it. Our kids need our empathy, safety, and love. In a world marked by divorce, fatherlessness, ubiquitous screens, and busy schedules, kids are under increasing relational stress at home. Research repeatedly shows that in spite of these barriers, it’s the quality of the relationship with the parent that matters most for child resilience. Children who feel safe and loved by mom and dad tend to have healthier self-esteem and emotion regulation—both critical for raising kids who develop empathy. Empathetic kids are not bullies. Teach parents to be involved, to listen, and to empathize. Help them understand how to put safeguards and limits on the internet and cell phones. 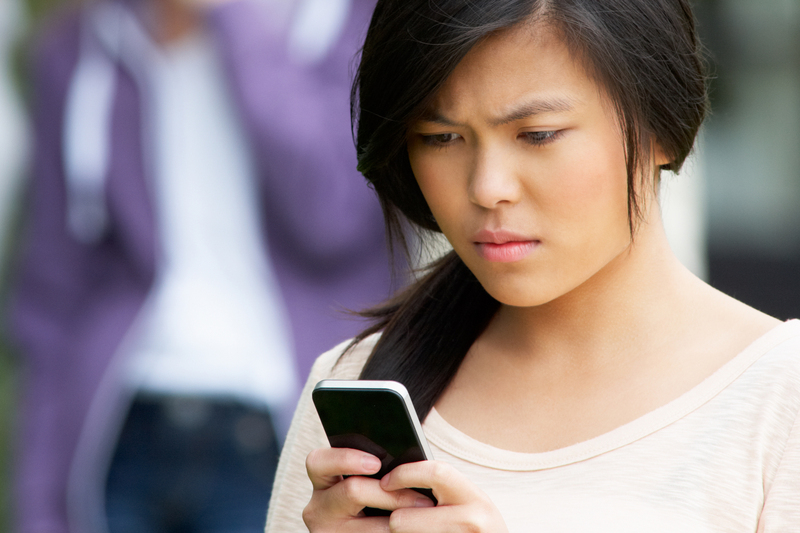 Many teens today share their passwords with friends in the name of “building trust.” Help parents address these cyberbullying tactics and stop them from happening. 4. Talk about it with students. I often hear, “My son/daughter would never do that.” However, sexting (sending sexually explicit pictures or messages to another via text) is far more common than many leaders think—yes, even among the most faithful of students in our youth ministries. Though sending cruel messages and spreading rumors are the most common forms of cyberbullying, circulating sexually suggestive pictures and texts has become one of the most shame-filled ways of bullying another. Educate your students on the legal, relational, occupational, and even educational ramifications of what they post, send, and receive. 5. Partner with student advocates in your community. My niece volunteers with a program started by her principal called The Listening Post. College students sit on one side of a curtain while high school students who are bullied or contemplating suicide can talk to someone who simply listens on the other side. Similarly, high school students listen to elementary students who are being bullied online. Yes, elementary students. JOSHUA STRAUB, Ph.D. (@joshuastraub) is the marriage and family strategist at LifeWay Christian Resources. He has served as a professor of child psychology and authored several books on parenting.